OWH Stars and Stamps (Our OLD blog! ): Coming this weekend! Come here on Saturday morning - we'll have bloggers hosting challenges every 2 hours all day on Saturday and Sunday. We'll link to them from here...each one will have InLinkz so you can share your creations - and enter for prizes!! 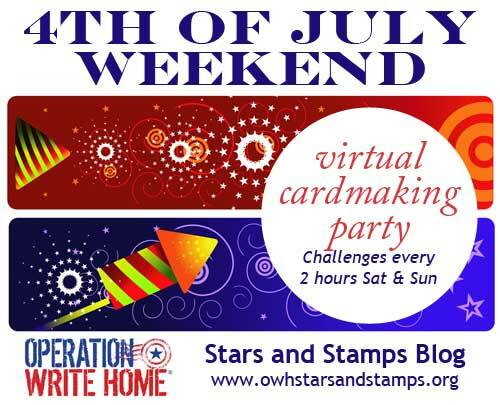 I can't figure out how to grab the image for the virtual cardmaking party to add to my blog. Khandy - Right click on the image ... Save Picture As ... and Save it someplace you know you'll find it - I usually keep a Picture/Blog Blinkies file.